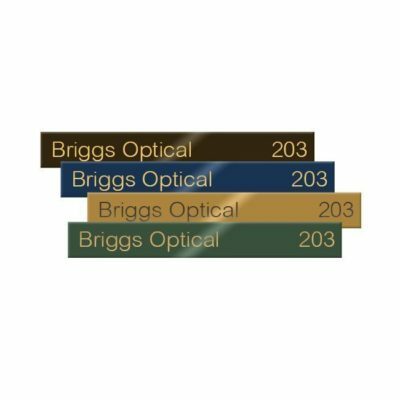 High-quality brass in 5 colors for the ultimate, professional look! Solid brass, color-coated in 5 colors and scratch-resistant. Natural brass color shows through when engraved. Easily slides into nameplates holders. Bulk pricing on quantities of 5 or more. Ideal for a single line of text, such as an employee name, suite number, or any brief text. 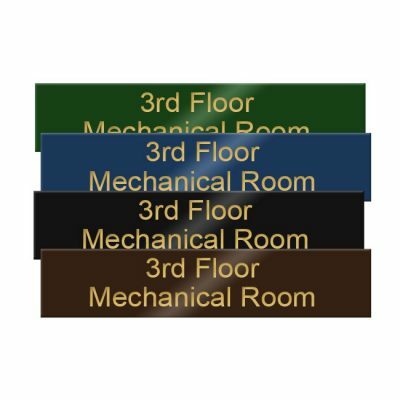 Easily slide into door, desk or cubicle nameplate holders. Engrave text into 5, scratch-resistant base colors. Ideal for 2-3 lines of text, such as an employee name and title, business name and suite number, or any text you’d like! Ideal for large signs and plaques with 2-3 lines of text. Precision engraved text reveals the brass under 5 stunning base colors. 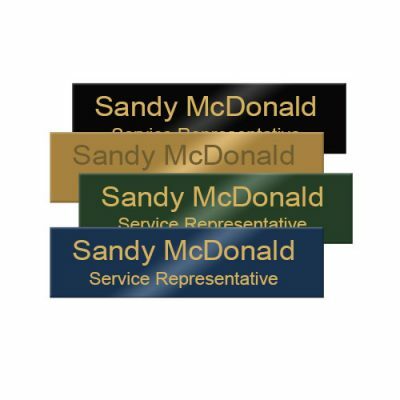 Ideal for simple employee name plaques, desk signs and lobby suite boards. 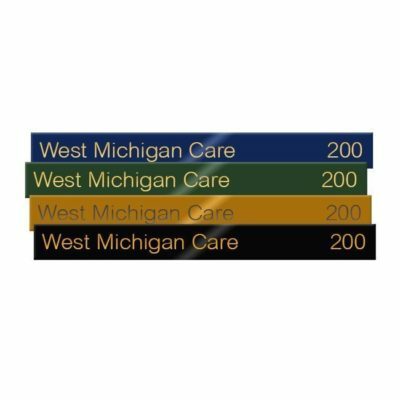 5 Base colors with engraved text to reveal natural brass underneath. Ideal for larger employee name plaques, desk signs and lobby suite boards. 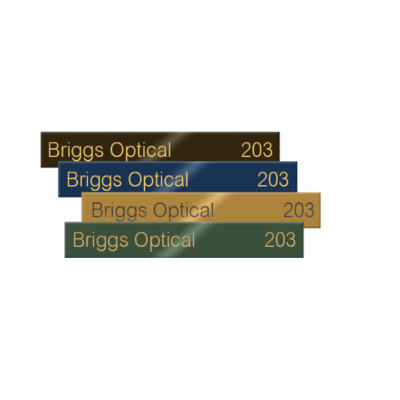 5 Vibrant base colors reveal the natural brass when engraved.